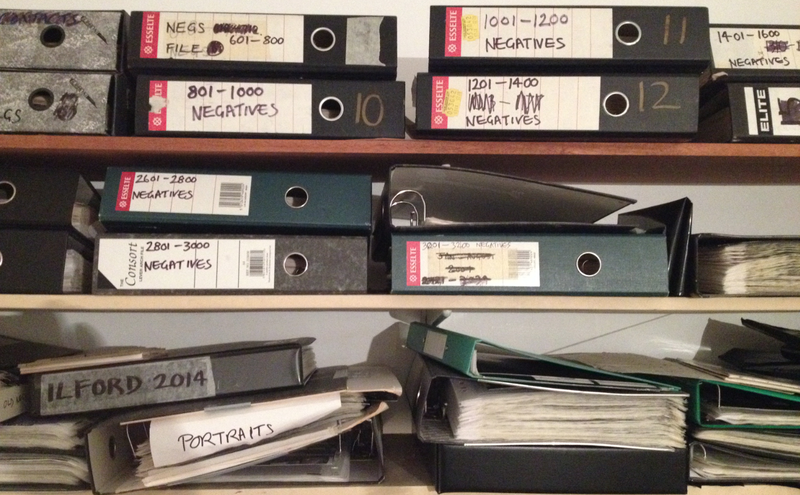 Have you amassed a large collection of negatives since you began photography? how about transparencies, prints, your camera collection? What is going to happen to all this stuff when you die? I have amassed a very large collection of all of the above, plus a collection of other photographers prints, glass negatives, books and ephemera. I have my fathers negatives and those of an elderly gentleman who died about ten years ago and who’s equipment I was buying off a relative. I took the negatives because the family had already burned all of his medium format transparencies and were considering doing the same with the negs. A lot of my junk is of no importance to anyone but me, but I’d like to think that my negatives would be valued and preserved. How does one go about ensuring that a lifetimes work is treated with respect? I can visualise with horrible clarity a situation where my negative pages and prints are sold off for a pound each on a junk stall as some ancient old curio, as many old photos are these days. Should I leave them to my kids in my will? None of them know how to print, so what will they do with them? I can either leave them a valuable archive or a storage/disposal nightmare. Should I make top quality prints from all my favourite negatives and destroy the rest so that nobody can print my work badly? How can I know which ones are going to be of value in the future? All of this has been buzzing round my head for quite a while and I don’t have a simple answer for it. I would be interested to hear other photographers comments. Interesting thoughts. I went through that a year or so ago. I have a terminal illness and wanted to make sure my grandchildren and possibly their children could get an idea of who I was. One of my sons stepped up and offered to take the negatives when I pass and organize them and try to find some organization that will preserve them. If none of your children are able to print well then you have failed The recent program on Brian Duffy springs to mind – his lad making images from his negs. There is plenty of time for the work that you are creating to gain the recognition it deserves and then it should be an issue. The fact that I am sitting scanning in images of our niece escaped me – doh. I am making a project of her first year – all the selected images will end up as digital negs and out as plt/pd prints and given to her parents in trust as a first year birthday present – I will also give them all the negs as hopefully they might be important to her in the future. I have thought about this for a while myself and am in exactly the same boat: thousands of negatives, slides, prints and family snapshots going back nearly 100 years. Sadly, I have to assume that it will mean nothing to others (we have no kids of our own) and have come to odd terms with continuing to photograph for myself while acknowledging that little of what I am doing will survive my death. I plan on asking the next generation if any of them care, but if not, I’m not sure what plans to make for it all. you could bequeath them to the museums dept and hope that they got the respect we gave to the equivellent some years ago, (even if it was for only a couple of years). or you could leave them to me and know the headache was passed on for a few years with the off chance that there may be a print or two made with care and attention, although, probably to a slightly different recipe. Posted 02/06/2010 at 10:01 pm Ah the dilemma. 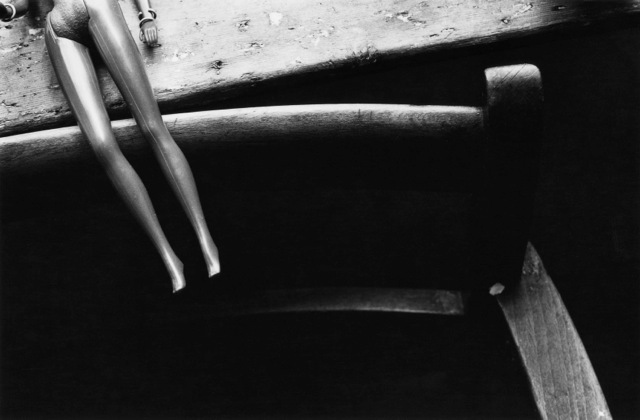 My feelings are that if anyone can make sense of my negs – or even find them, they are happy to them. Otherwise, I shall leave them to someone I don’t like with instructions to take great care of them. For you Sir, I suggest leaving them to the kids. I think this is where having your best work carefully presented in a series of portfolios or even blurb books makes it easier to have it preserved for posterity. I think that if all my work was a pile of loose prints and negatives they would eventually end up in landfill. Fancy a joint back garden bonfire? a reliable source before you die… slightly eccentric of an idea perhaps . take good care of them and will make the best use for them in your name. craft and the uniqueness of the photographer him/herself. I shall leave them to the person that means the most to me at the time in the hope that they will do the same when their time comes. I suppose we all think about this from time to time. Start on the premise that negatives are worthless and of of no interest to anyone. They will be a burden to the next generation. What on earth would they do with them ? They are yours, a record of your activity in a raw form. If you’re a Magnum photographer, or a frequently hung artist that can compete with Ansel Adams in a commercial sense, or a collection at the V&A, that’s different. On the other hand, the finished work we’ve created can live on. Prints and books have a future, so frame a few of the most interesting, create a high quality portfolio in a book/s and give them to anyone you think might look at them in 10 years time. Realistically, it should contain the history of your life with many portraits of you and your family. What a drystone wall looked like on a winters morning is not of interest to family, sorry. My best friend of 25 years died suddenly and his family couldn’t bear to throw his work away. They didn’t want it, had no room for his equipment and no desire to develop the skills to process them . So, the negs came to me and I cut the 23 binders down to 4. Now after 10 years of never being required, it’s going to the rubbish tip on the next clear out. Photography is a hobby; a pastime; a profession and the satisfaction belongs to the creator. If one’s images are not in demand during your life, they won’t be after. Even Flickr will only accept a 2 year subscription. Make some books. This entry was posted in Uncategorized and tagged 35mm, Darkroom, General, Large format on June 1, 2010 by andrewsandersonphoto.